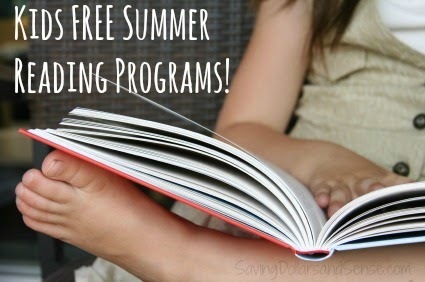 Big thank you to Savingdollarsandsense.com for this awesome list of FREE Summer Reading Programs available this year. 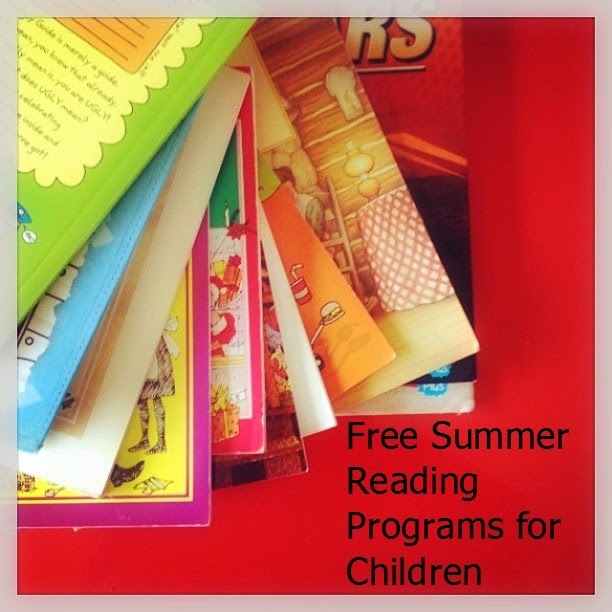 You can print out this list of FREE Summer Reading Programs here. Junie B Jones Reading Club - Sign up and get a FREE starter Kit that includes a copy of Junie B Jones and the Stupid Smelly Bus, Activity sheets and a membership ID card while supplies last. Book Adventure - Sylvan offers this FREE reading incentive program. Basically your child reads books and then takes a simple comprehension quiz to make sure they understood what they read. The quiz is usually about 10 questions long. They earn points based on how much they remember from reading the book. There are hundreds of books to choose from in all reading levels. These are common books that can be found at your local library. 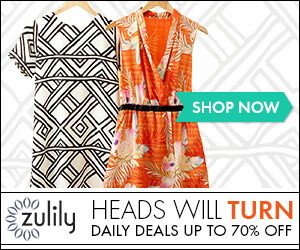 Once they have earned enough points they can trade them in for some really neat prizes! Half Price Books - They are offering kids ages 14 and under a chance to earn a $5 Gift Card for reading just 15 each day throughout the summer! Showcase Cinemas Bookworm Wednesdays - Your child can earn a FREE movie ticket from National Amusements Theaters when they read a book and complete a book report. Barnes & Noble Imagination Destination - This summer reading program through Barnes & Noble gives your child the ability to earn a FREE book after reading 8 books and keeping track of them in a reading log. Local Public Library - Don't forget to check out your local libraries to find out which programs they'll be offering this summer. My kids have participated in several Summer reading Programs through the library and it always includes FREE books & prizes. TD Bank Summer Reading Program - Read and keep track of 10 books this summer and your child will get $10 added to their Young Saver Account FREE! Chuck E. Cheese - Earn 10 FREE tokens every time your child reads for 2 weeks in a row. Just fill out the form and bring it in to claim your free token. Scholastic Summer Challenge - Log in your reading minutes to the Scholastic site and your child will be able to participate in a World Record challenge as well as earn digital prizes! Pottery Barn Summer Reading Challenge - Open only to children under 10 years of age on any day during the promotion period. 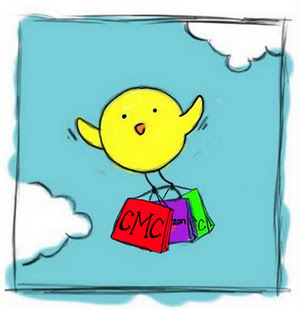 Must present completed Award-Winning or Early Reader book list to receive a free book at participating Pottery Barn Kids stores. Programs like these are a great way to encourage our children to continue reading throughout the summer months. If you know of any other programs that aren't listed here, please feel free to leave the information in a comment below. 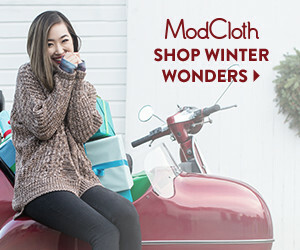 Over 50% off Me Too for Infants!